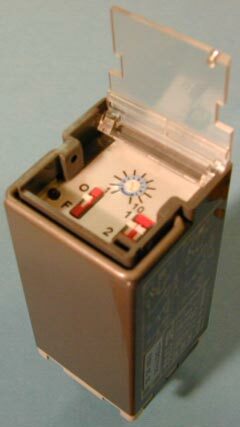 Multifunction & multirange timer relay - 2 timed contacts - 5 A. Timing range selector on front face (0,6 - 6", 6 - 60", 60 - 600"). Protection of the selections by front closable cover. See the operation scheme here after.